Since we were right around the corner, after brunch at the Southernmost Beach Cafe we walked down to The Bouy, which marks the southernmost tip of the continental United States. 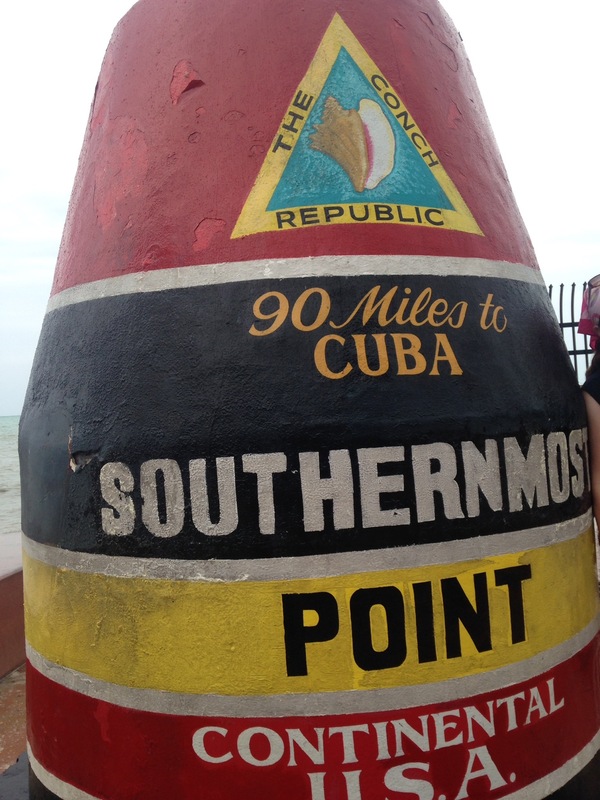 At that particular point, we were only 90 miles from Cuba! After The Bouy, we made one last trek through town for some last minute souvenirs before making our way north to the mainland. The entire weekend was filled with amazing and wondrous things–and fun was had by all! At least I hope everyone had as much fun as I did. There certainly was a lot of laugher, a lot of reminiscing and catching up, and–of course–a lot of drinking! My Fabulous Not Forty Birthday Trip One was off to a great start–and I couldn’t wait for the rest!